We all like to wake up in the morning with our eyes looking naturally fresh and beautiful – but often our lifestyles won’t allow it. 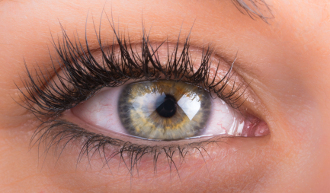 Whether it’s work, kids or a hectic social life that’s keeping you busy, being constantly on the go can take its toll on your eyes, and after a while they can become dry, red and puffy. We’re all familiar with the phrase ‘beauty sleep’ – but there is some truth in it. Busy lifestyles - and the occasional Netflix binge - mean many of us struggle to get to bed early, and if we don’t get enough rest, we risk waking up with bloodshot eyes and bags. According to the NHS, most adults need six to nine hours of sleep every night, so if you think you’re getting less than this, it may be time to reassess your nighttime routine. One of the main things you should do is make your bedroom sleep-friendly, keeping it quiet, tidy, dark and cool (between 18C and 24C). The NHS further recommends winding down before getting into bed, whether that’s by reading, having a hot bath or putting on some relaxing music. Optrex’s Warming Eye Mask is another great way to soothe your tired eyes. With Microsteam™ technology, the mask warms instantly when it’s opened, releasing a gentle, soothing heat to relax and relieve tired eyes. Find out more about how to equip your eyes for modern life here. A nutritious, balanced diet is important for all aspects of health – including our eyes. According to the Royal National Institute of Blind People (RNIB), there is some evidence that a healthy diet rich in fruit and vegetables may help to keep eyes healthy and fresh. Cutting down on drinks, such as alcohol and coffee, could also help to ward off puffiness in the mornings. Both types of these drinks can interfere heavily with our sleep, in turn giving us red and sore eyes for the rest of the next day. Try to drink your last cup of coffee well before bedtime to make sure you’re prepped for sleep, and reduce the amount of alcohol you consume when out with friends. The NHS advises against drinking more than 14 units of alcohol spread over a week. Getting bright and beautiful eyes doesn’t have to cost you – there are a few ways you can achieve natural freshness with things you’d find around the house. Cold cucumber slices, for example, are great for refreshing puffy eyes, the antioxidants helping to soothe and reduce irritation. Take the slices and apply them directly onto closed eyelids, keeping them there for three minutes at a time before replacing with fresh ones. Not got a cucumber to hand? Try chilled chamomile tea bags over closed eyes. Another way to cool tired and irritated eyes and help to make them look beautiful again is by using a cold compress underneath each eye to reduce puffiness. This is a great way for anyone after a quick fix in the morning to use when you wake up. If you’re still struggling to achieve that brightness in your eye, try a product such as Optrex’s Brightening Drops. It contains natural plant extracts and gently revives the brightness of your eyes, for extra whiteness and dazzling results. Look as far up as possible, keeping your head still, then as far down as possible and to each side. Repeat four times. Gently massage the skin around your eyes, then close your eyes and massage your eyelids (without pressing down too hard). This can help to improve blood circulation. Find out more about eye exercises.